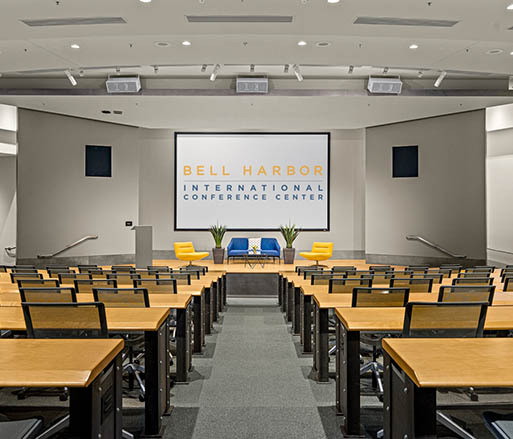 Bell Harbor International Conference Center offers 100,000 square feet of conference, meeting, and event space featuring 180-degree views of the Olympic Mountains, Mt. 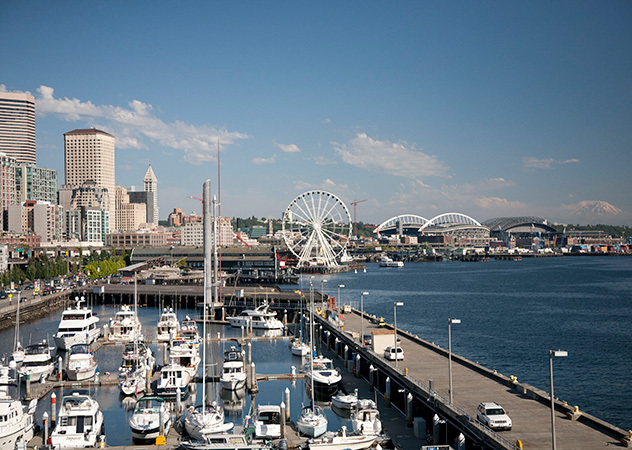 Rainier, Puget Sound's Elliott Bay and the Seattle skyline. 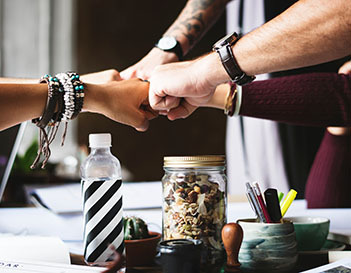 Our inspiring spaces and all-inclusive hospitality services reduce the typical pressures associated with planning an event so you can focus on the most important outcome – creating an exceptional experience for your guests. 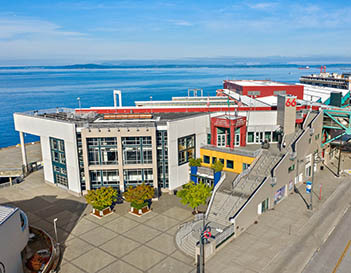 Bell Harbor features 100,000 square feet of meeting and conference center space that can accommodate up to 200 trade show booths. 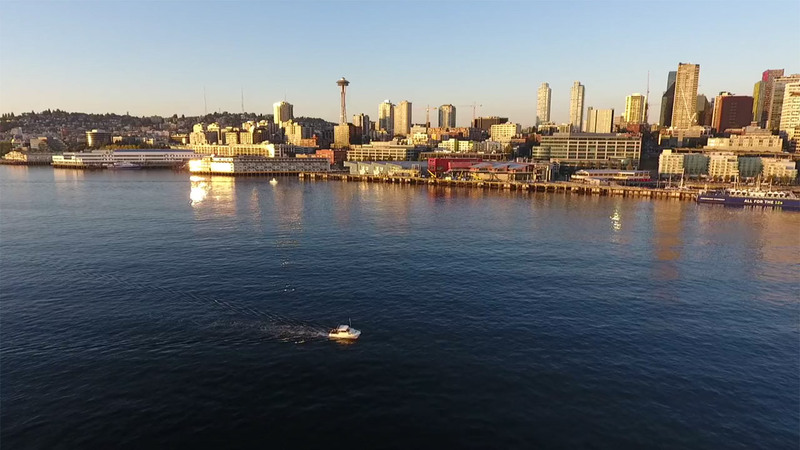 Take in the striking sunset off Elliott Bay as you say "I Do" with wedding packages designed to ensure your special day is magical. 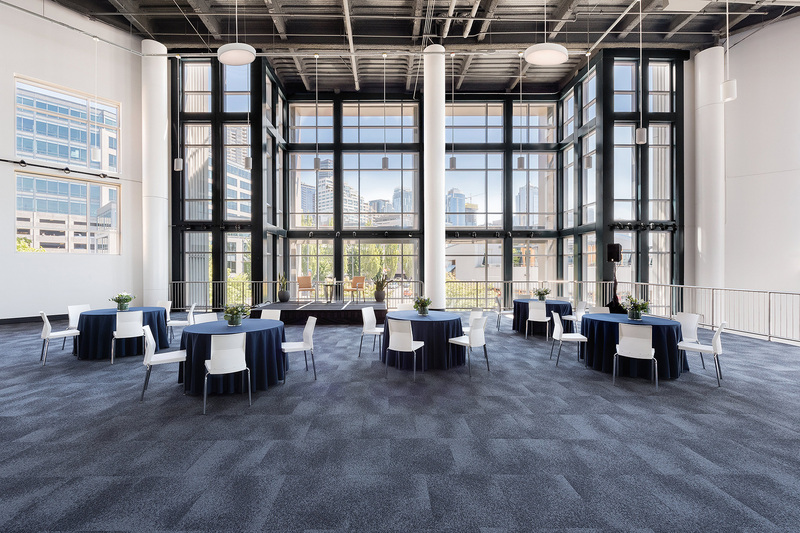 Our unique event spaces, award-winning culinary team, and spectacular views of the waterfront and Seattle skyline will inspire your attendees. Imagine your reception on the Rooftop Deck followed by dinner featuring custom menus and creative cocktails – all with a stunning 180-degree views. 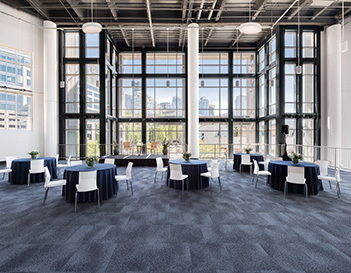 Your true waterfront venue offering a view of the Seattle skyline and the ferries on Puget Sound, with seasonal Northwest cuisine sure to impress your guests. 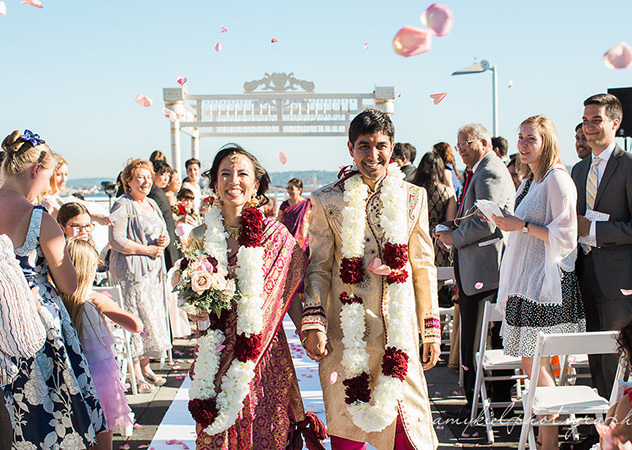 Let us make your perfect day come to life. 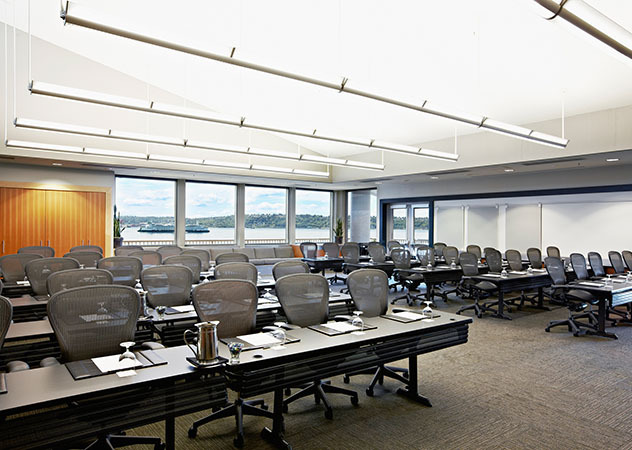 Bell Harbor is ideal for meetings from 25 to 1,000 and our easy-to-understand inclusive Complete Meeting Packages take the hassle out of planning so you can focus on your guests instead of your budget. 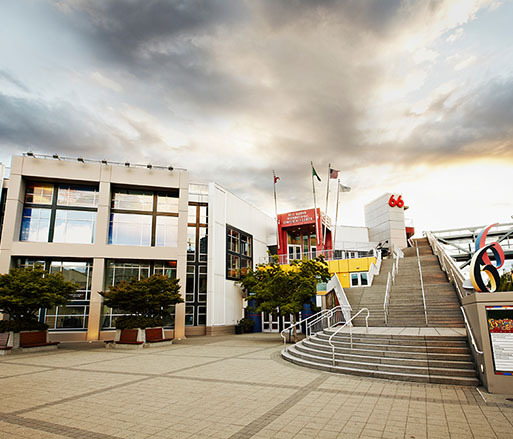 Give your guests a unique experience at your next Bell Harbor event with exciting seasonal offerings. 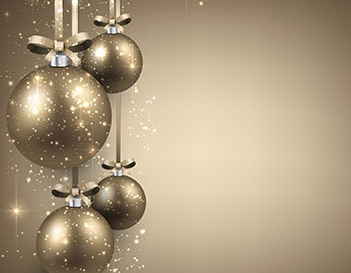 Enjoy big savings or add something extra to take your gathering to the next level. 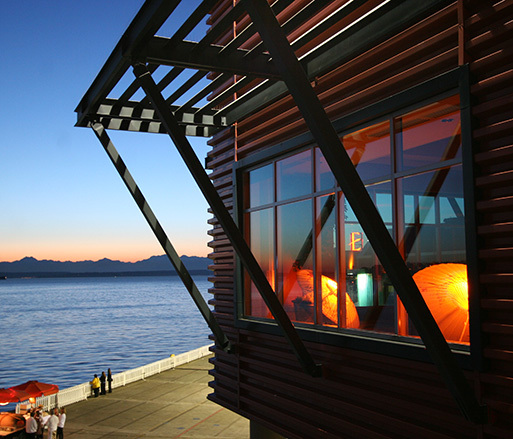 Want a sneak peek of Seattle's destination waterfront venue? 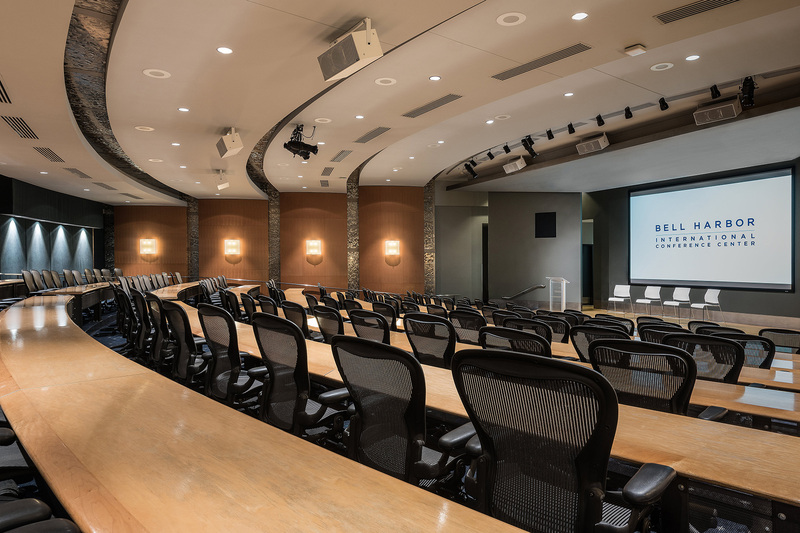 Enjoy a virtual tour of our unique meeting and event spaces and take in the stunning views from the Rooftop Plaza. Our high-speed Wi-Fi supports hundreds of users and thousands of devices. 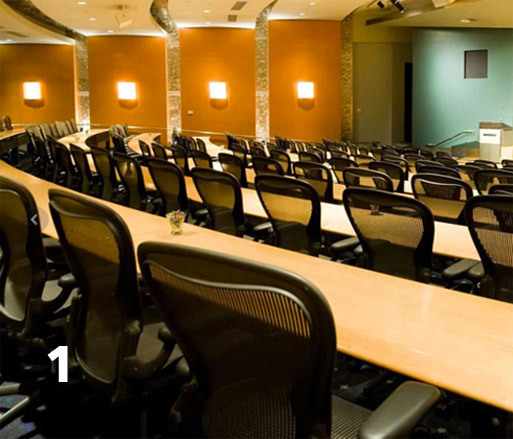 From built-in rear screen to plasma screens and audio mixers, your event will be flawless. 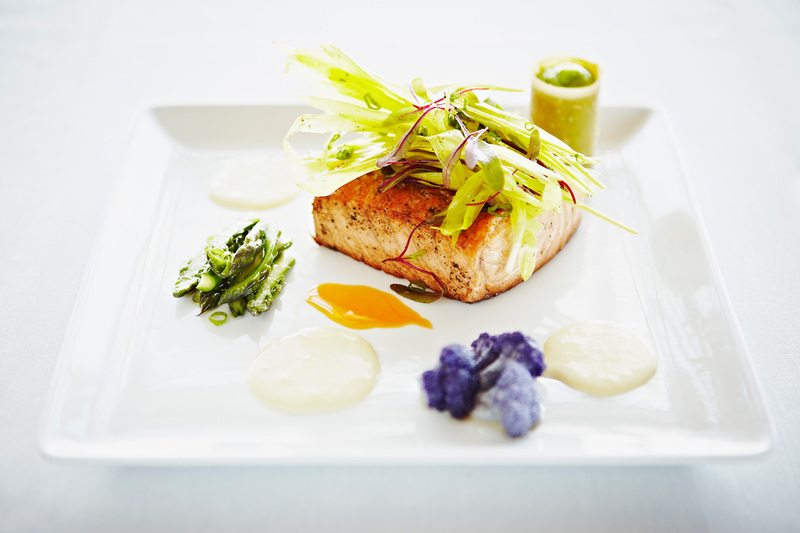 Our culinary team utilizes local, sustainable and organic options that highlight the seasonal bounty of the Northwest, completing the ultimate Seattle experience. 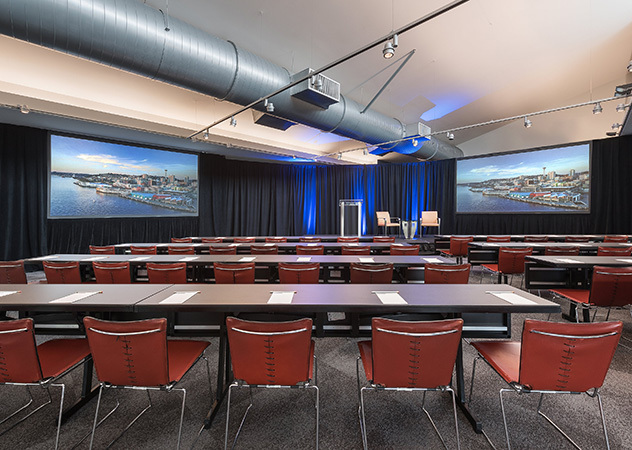 From state-of-the-art Bay Auditorium to spacious International room or city-facing Waterlink, our flexible event spaces are ideal for any occasion and gatherings large and small.